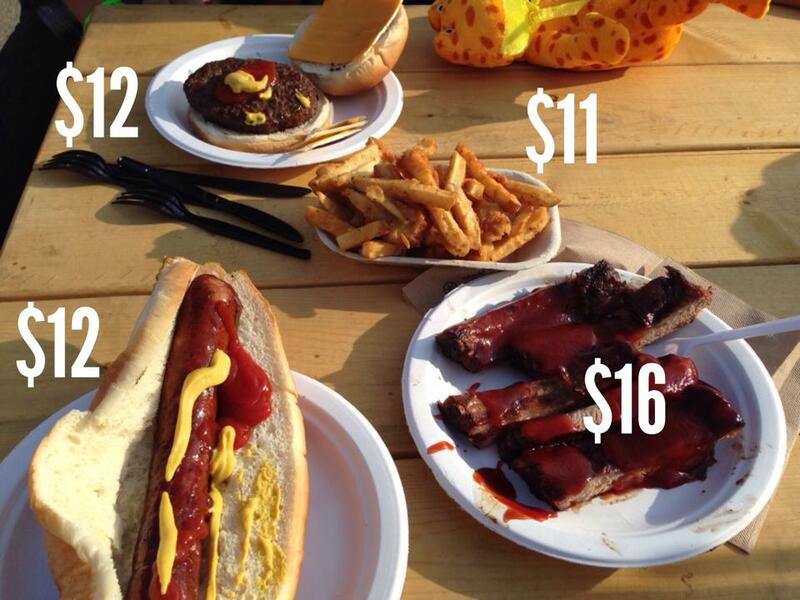 It may be the Greatest Outdoor Show On Earth, but it doesn’t come cheaply. 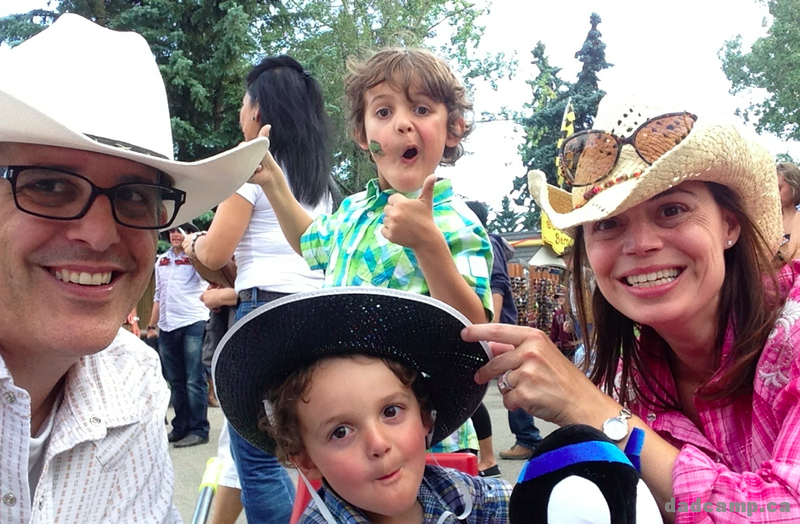 When you factor in gate admissions, midway food prices, ride passes, and other fun and games you might play on site, if you get out for under $200 for a family at the Calgary Stampede, you’ve done alright. Oh, and that’s $200 cash, you can’t use your debit or credit when buying from vendors on site. – Select 12 pack cases of Coca-Cola products have a coupon for an $8 voucher towards children’s admission. – Safeway has a Ride & Play card which can be redeemed for a ride-all-day wristband for the midway, or 60 ride coupons. The cost is $37.85, which works out to a $20 savings. – The Pizza 73 family pack deal includes two child admissions, pizza and Coke for $22.50. – The 2 for $25 deal at Mac’s includes two Stampede admissions and two Coca-cola beverages. So our family will get a case of Coke to get a coupon for Z and buy some Coke at Mac’s to get admission for the adults, Charlie is free because he’s 4. We are in the door for about $30 and we have a lot of Coke to enjoy. Sneak A Peak is the best. Admission is just $8 and it’s not crowded. You can see most everything you would normally see on a regular Stampede day, except you only get to go on the grounds starting at 5p. 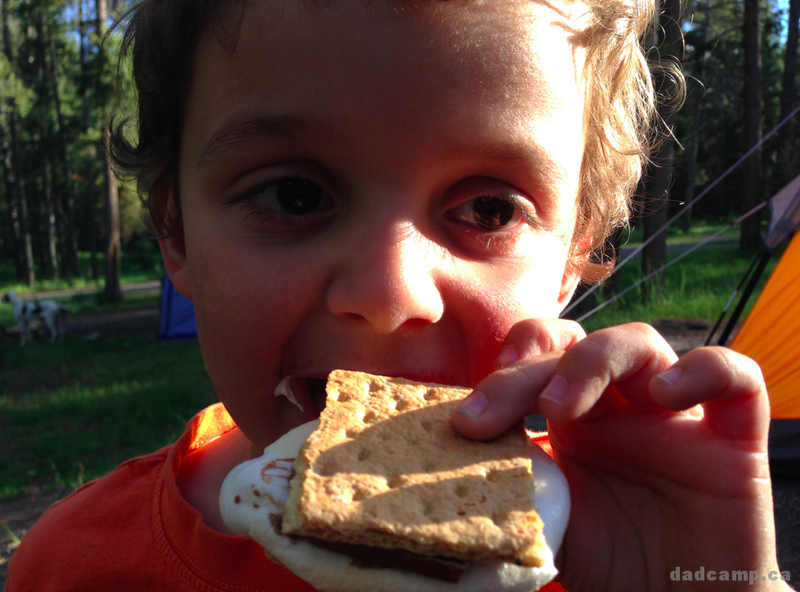 Let the kids stay up late, save some money and sanity, and get your fill of Stampede fun before it ever really starts. Family Day has free admission until 9am along with a free breakfast for the first 20 000 people through the gates. 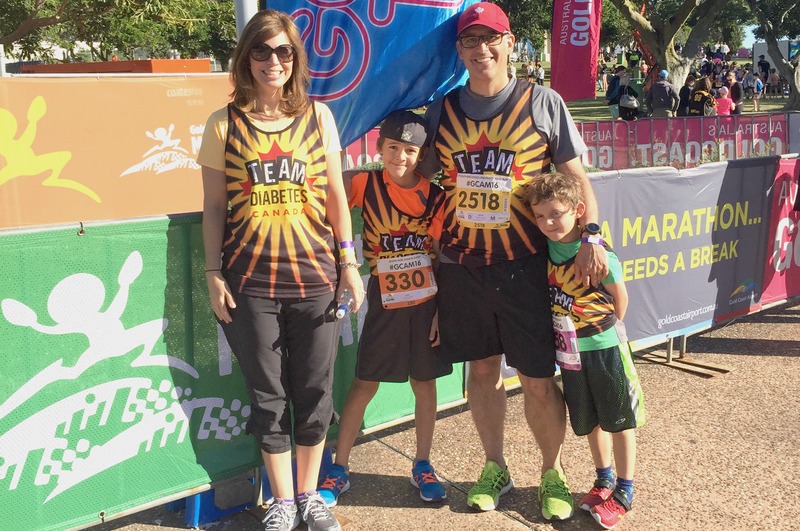 It’s an early start to the day meaning you’ll beat the heat, while feeding the family for free. 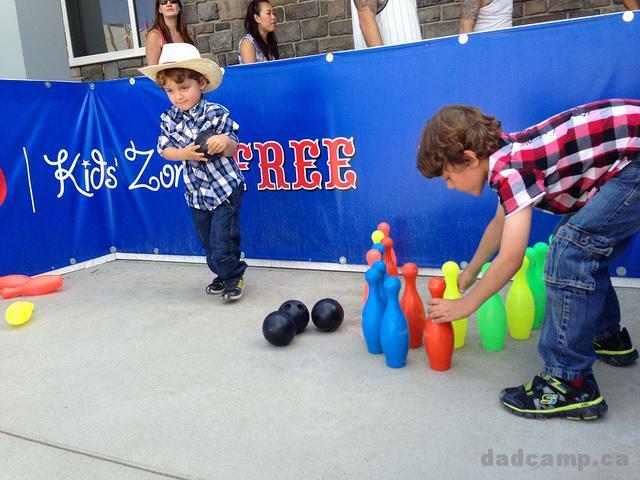 Western Heritage Day is when you bring the grands as admission is free all day for those aged 65 and up. Seniors and their guests get front of the line to see the Stampede from 9a before the gates open to the public at 11. Kids’ Day gets free admission for kids and their adults until 9am with a free pancake breakfast as well. Avoid the Midway Rides. Seriously. 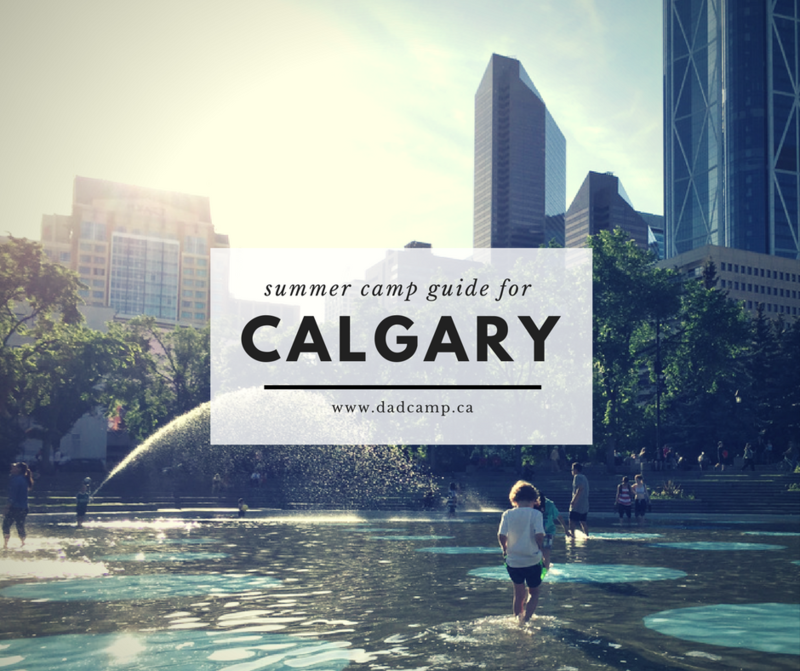 We have Calaway Park in Calgary, a place where you can get a season’s pass for $40. 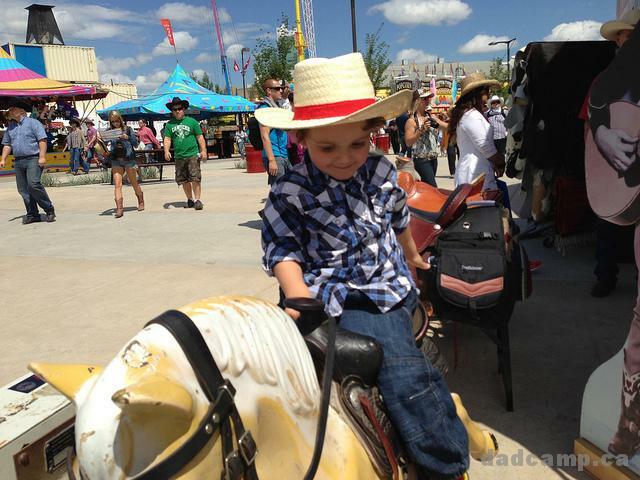 Take your kids to Calaway Park during Stampede, let them get their fill of rides, and then go to the fairgrounds to see the animals and western hospitality. 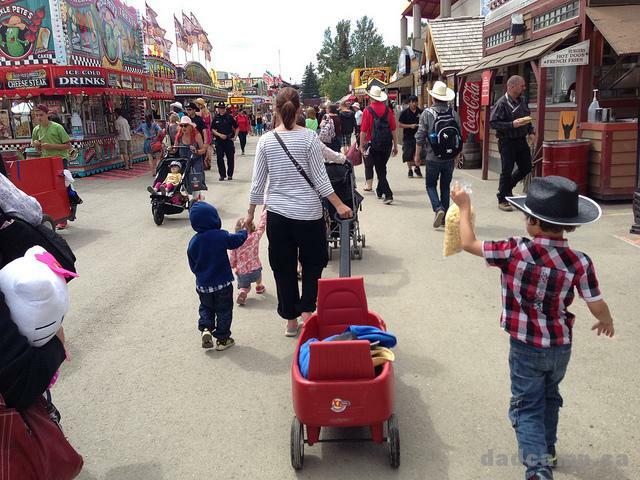 If you spend money on rides at the Stampede (especially the kid ones) you’re losing money. Besides, there’s enough to do for free on site anyway. 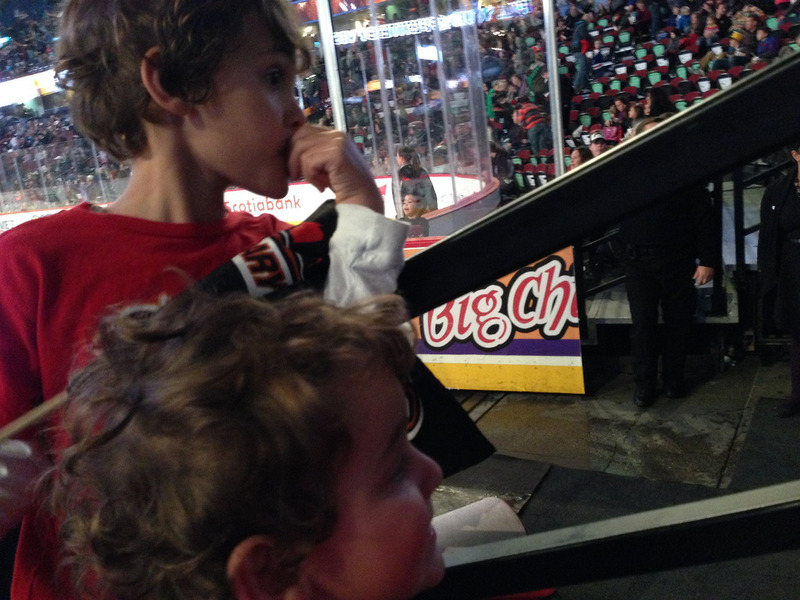 Petting a goat, climbing on a saddle in a tack shop, crawling all over the big military vehicles, watching the Calgary Stampede Showband on the stairs, or wandering the BMO Centre’s offerings of goofy products are just the start. I’ve loaded up the Calgary Stampede app on my phone and plotted out our schedule with the kids this weekend. We’ll watch Superdogs, try our hand in the Kid’s Chuck Wagon Races (which Z won last year), maybe see if we can get in the Kid’s Pedal Tractor Pull, watch XPogo, and then we’ll be done. Or if the kids aren’t, Mommy and Daddy will be. All of those activities, btw, are free with admission. Parking on site is $25. So take transit. Even trying to just skip into downtown and take the CTrain a few stops to the Stampede can be expensive, Calgary has some of the most expensive downtown parking in the world. If you can hang on until after 6 oclock, you can find parking on the street near Cowboy’s Casino and Vagabond. We parked on the street at 3p for $4 for 3 hours, and then it was free after 6. It was literally 1 block further than the $25 lots and $21 cheaper. You can bring wagons and packs inside, and we do It stores the stuff we don’t need, tired kids can crash in it, and we can also bring our own water (instead of buying it), and other things to snack on (carrots, crackers, cheese, cookies etc) so we’re not blowing our budget. From Garth Brooks to Shania Twain, the biggest acts in music come to the Calgary Stampede and bring with them their big ticket prices too. If you want to see a show for free, check out the Coke Stage. They run kid friendly stuff during the day, and rock/pop/country acts at night. 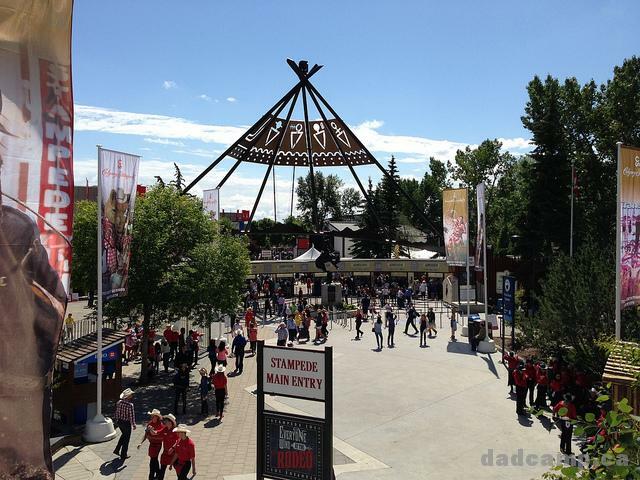 You don’t even really need to go on the grounds to experience the fun of Stampede. All the city is dressed up with windows painted for the week, and people are dressed up in cowboy hats, jeans, and western wear. 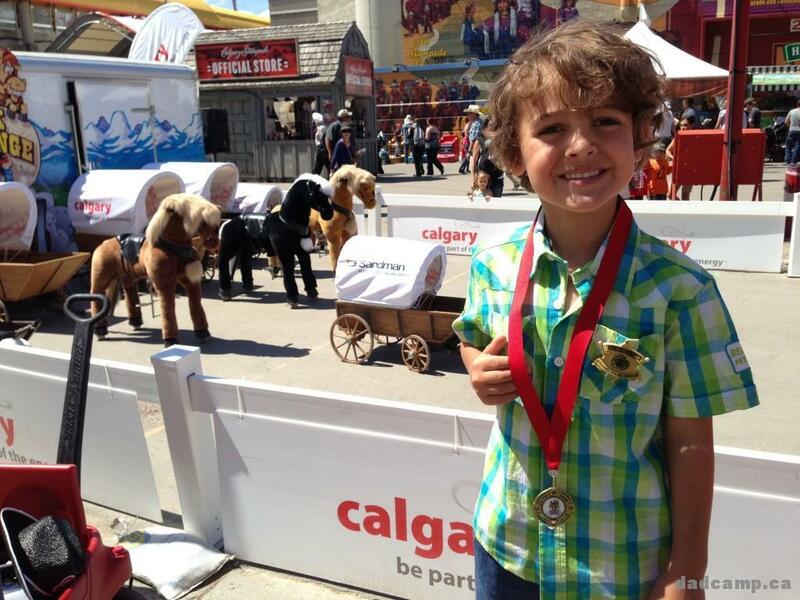 It’s about the spirit of the Stampede more than the Stampede grounds, so head off to Fluor Rope Square, find a free pancake breakfast in a community near you, and just say Howdy, or Yahoo to someone new and you’ve experienced the Calgary Stampede. Want to see the fireworks after the Grandstand show? Grab a spot on Scotsman’s Hill in Ramsey, or anywhere near downtown and you’ll be able to see them. With hotel rates up 70% during Stampede, throwing your place up for rent on AirBNB and getting out of town might just be the best way to save money, and even make some extra on the side. 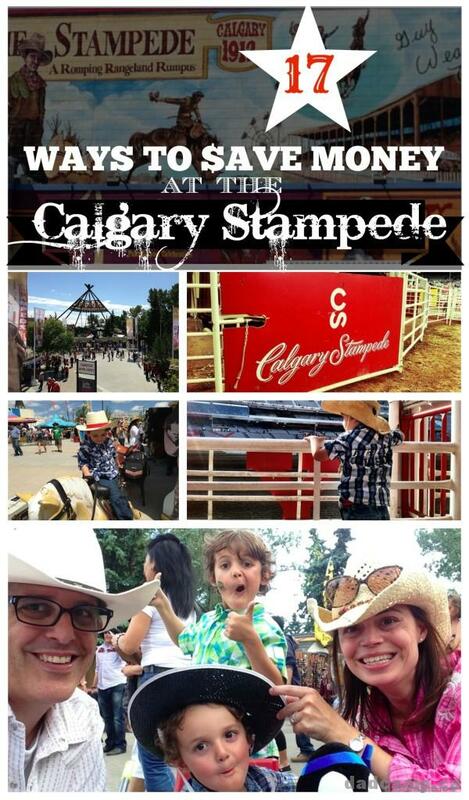 How ever you spend your money, just make sure you spend some time experiencing the western hospitality at the Calgary Stampede. It really is a wonderful way to show exactly how community spirit can thrive and how a big city can still feel like a small town.